We have an efficient manufacturing setup to satisfy required quantity of 10,000 soft/Hard jaws per month. Generally we manufacture our soft jaws in En9 Materia and hard jaws with the EN353 material which is then hardened up to 50-55HRCl. 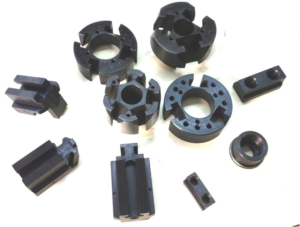 But we can also manufacture the soft/Hard jaws as per the customer’s requirements. We have also flexible setup to design and manufacture customer specific soft jaws. © 2019 Omkarengineering. All Rights Reserved.